Immerse yourself in the really exciting Arcade action game Alpha Kimori Episode 2. As you probably remember from the previous part of the game you will be hiding in the caves and will be fighting hard with horrible monsters in order to survive. The newest part of the game won’t be an exception you will try to escape from frightful monsters which will be chasing you during the game. But the whole game is not just a chase as you will visit many exotic places like village located on the tree, different caves, jungles and get acquainted with many characters which may offer you help. Title - Alpha Kimori: Episode 2 Game Download for PC Description - Get delighted with Alpha Kimori: Episode 2, a Arcade & Action game offered by Sherman3D. 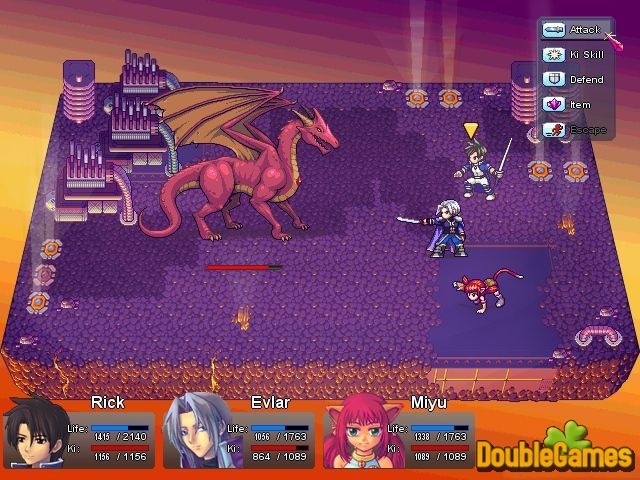 Try to survive defeating the attack and escaping from the chase of horrible monsters. Fifty years ago an alien invasion forced people to abandon the Earth. After a short wandering, people discovered a livable planet Kimori. Here, the story made its first twist. The survived population became divided into two groups: Bidarians and Jinrians. Bidarians were going to rearrange and strike back to retake the Mother Earth. Jinrians were disagreeing. They found Kimori quite well to settle down and start a new life. Clash of opinions had brought two sides to a prolonged war. Bidarians pumped out the Kimori’s natural resource the so-called Ki Crystals in order to get Ki Skills to become powerful and invincible. Jinrians stood up against it and tried to save their new Home. Here, we are introduced to Rick and Yuki. They are representatives of two confronting parties. They must hate one another on the basis of ideological gap. However, they have fallen in love with each other. Yuki showed the weakness of an ideology Rick was fostered by. Within the first episode characters met the companions and experienced many adventures and battles. At the beginning of the Episode Two, we were able to see Rick at point of no-return. Everything he used to believe became nothing but lie and intrigue. After that, team started to fall apart. Team continues a journey being divided two by two. You are able to change between members of each part what makes the gameplay very interesting. There are tons of locations to explore and thousands of enemies to defeat. The combat system remained the same as it was presented in the first episode. The turn-based system is able to provide enough time for strategic planning. You can select between the definite actions after a due consideration of their priority or relevance. Unlike the original Alpha Kimori, the Episode Two gives you an option to escape from the battlefield and minimize the risk of a character’s life. It is quite undesirable because it will prevent your character from getting the level-up. As we all know RPG is impossible without upgrading. So, you must be wise and use it to avoid the most extreme situations only. As we have already mentioned, the game is designed in 2D. It reminds us the old school video games related to the classic 16-bit console. It evokes nostalgic memories! In general, combination between anime style and old fashioned graphics gives us the right to appreciate this game greatly. The maps are different and beautifully designed as well. The lack of a free play compensates for numbers of places: jungles, futuristic cities and other exotic spots. Despite these places are programmed to explore, it is a great fun. The sound effects and background music complete the whole picture and fit the title perfectly. 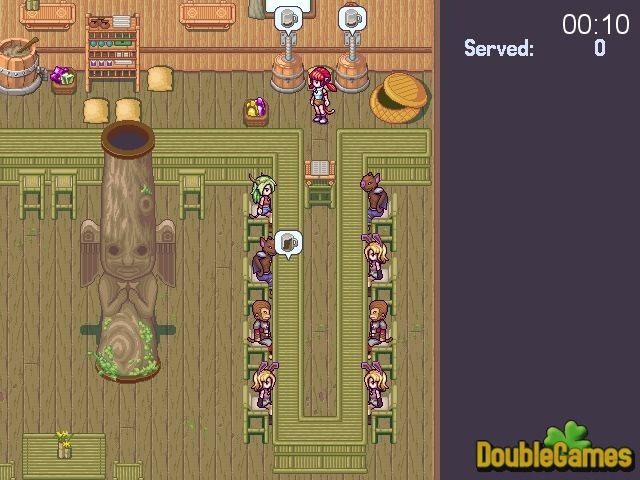 Alpha Kimori: Episode Two is an absolute hit among the similar games. The plot, design and gameplay are harmonized. This game is suitable for a wide group of people. 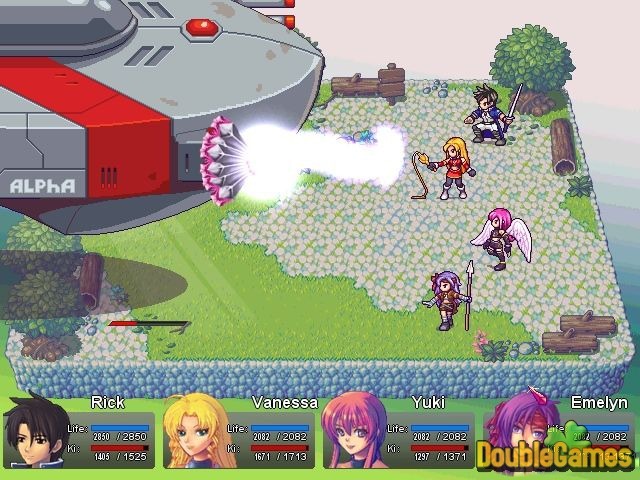 We are the big believers this game is able to reach the status of the most interesting 2D RPG of all times! We can assure you, you will be eager to play it once again.